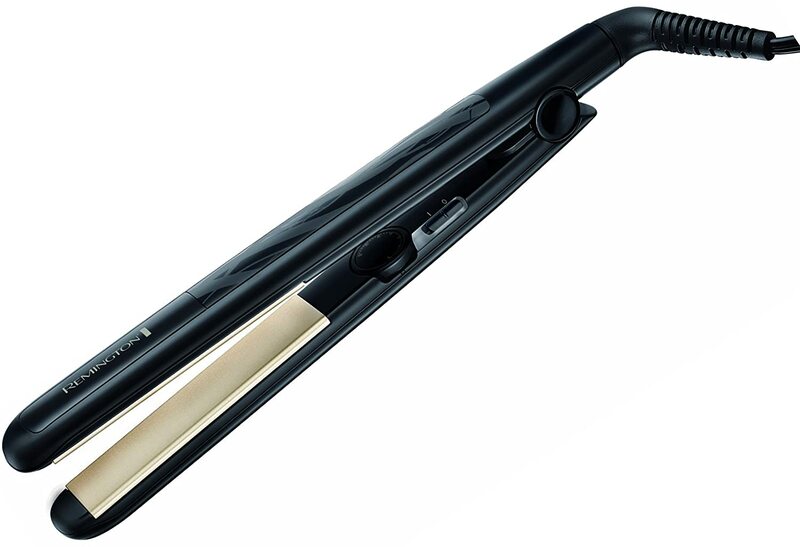 This is a very low priced entry-level straightener that could be good for someone new to straightening or who just wants something basic to use every now and again. Many people don’t straighten their hair regularly so what’s the point in paying lots? This isn’t a bad starting point for the above mentioned and it does straighten well requiring only minor touch ups in the evening if you need it to last. While it doesn’t leave quite the same glossiness as some other brands, hair doesn’t feel stressed or damaged either. If you have very temperamental and fine hair that doesn’t like much heat, then perhaps you’ll like the 30 temperature settings that will allow you to fine tune a low heat to suit your hair. Other than that though, I really can’t see why anybody would need 30 settings. 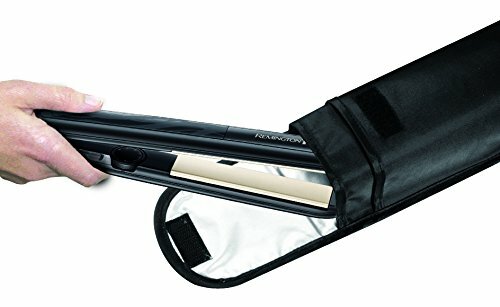 It feels like an unnecessary add-on to give this straightener a unique selling point. After almost 100 years in business, Remington have firmly cemented themselves as a household name in personal care products. The initial business however, was actually in firearms. Clearly things changed dramatically when, in 1937, Remington decided to branch out into personal care appliances and have excelled within the industry from there. They specialise in affordable, mid-range products that are widely trusted. 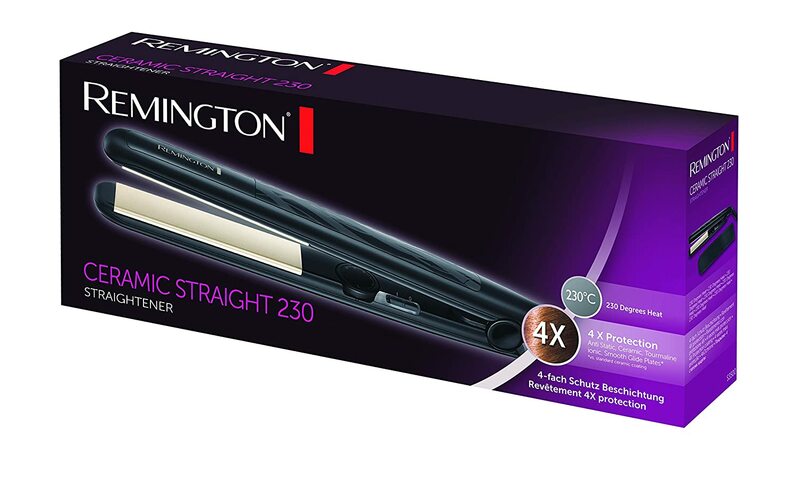 This seems to be Remington’s new entry-level hair straightener and they’ve done themselves quite proud. It looks good with a sleek, plain casing and narrow plates but retaining the usual 110m length. It has a 1.8m swivel cord which is on the short side of the norm and if you’ve got a shortage of plug sockets, the length may not be enough. The top temperature on these is 230 and they do heat up to that very fast from off. The strange thing about this set is that they have 30 temperature settings. In my opinion, it’s way too many. It’s like they’re trying to do something impressive but actually, it makes life harder. No one needs 30 settings and to be usable on all hair types you only need five maximum. This just takes longer to find your perfect setting. While the construction doesn’t feel particularly high quality, the plates don’t snag the hair and if you take good care of this then it could last a while. The results are good and achieved quickly although the hair lacks the certain lustre that some other brands provide. Whether the ceramic used here is good enough quality to not damage hair long-term remains to be seen. The storage clip is useful and I think more straighteners should have them – it’s much easier to put them away in the pouch when you can clip the plates together. This also prevents the temptation to wrap the electrical cord around the straighteners when in storage to keep the plates together, something that significantly damages the cord. If you have no intention of spending much more than this on straighteners and don’t straighten your hair every day then I think these will do their job reasonably well for a while. You can curl with them if you’ve got a little patience although the results don’t last all day and even with straightened hair may not last overnight like some premium brands.